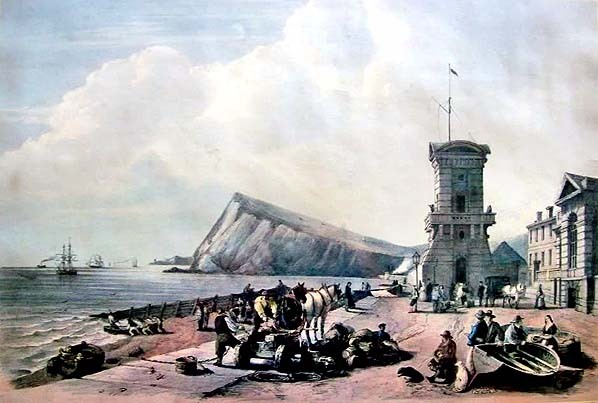 Dover Pilot's tower in the 1850s, before the line to the Admiralty Pier was built. To avoid demolishing the tower the Pier line passed through the ground floor of the tower. It was eventually demolished in 1913 when a second track us required. The 'Lord Warden Hotel' is seen to the right with the Town station behind it.